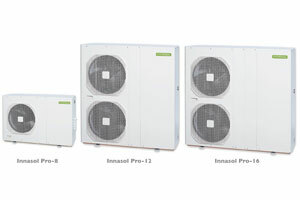 Colloide designs and installs heat pump systems. The heat pump extracts the energy at the source temperature and then raises the temperature to a useable level. A heat exchanger is used to extract the heat from the circuit at this point, with the now cooled medium being returned to the source where it is reheating. Reversible heat pumps can also be used in cooling function which can be important in the summer months. 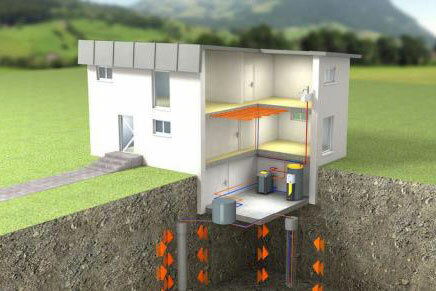 The heat pump works as part of a closed loop, operating between the heat source and the building where it is to be used. Heat sources include air, water, ground and waste heat. The higher the temperature and larger the size of the source energy, the better it is for providing energy. Colloide designs its systems to maximise the return from the heat source. Our heat pumps include a control system. The control system will vary depending on the plant, but is always designed to give our customers full control, including the ability to monitor performance remotely. 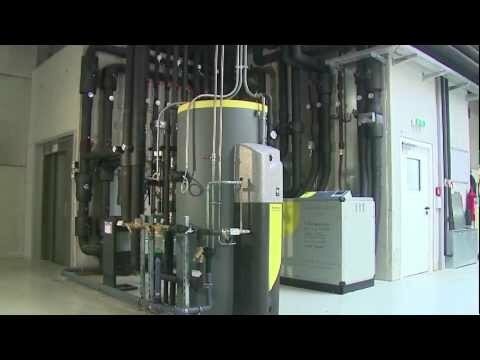 A very efficient low carbon method for heating buildings. The controllers enable very user friendly control and interrogation of the system. 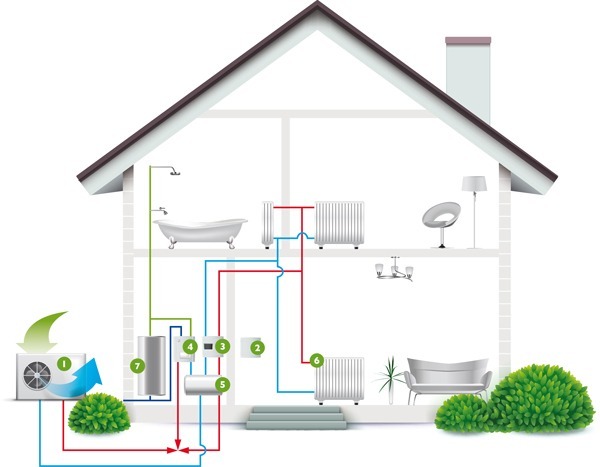 Heat pumps can be integrated into existing energy systems, to maximise efficiency. Systems adapted to any form of heat source. Heat pumps can be used to raise and generate heat across many applications as practically all buildings require heat. The heat source can be air, ground, water or some other form of waste heat. The heat pump systems can be installed in new builds or upgrades to existing buildings, from single houses up to large energy centres supplying district heating, factories or large commercial buildings.